The time has come to get a new wallet. 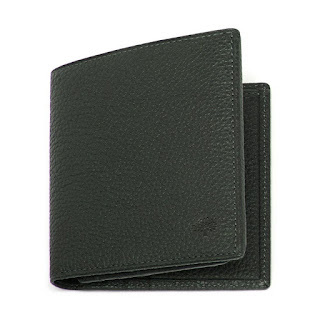 This decision was not something I came to lightly, rather it was thrust upon me yesterday morning when I came downstairs to leave for work and found my beloved Mulberry tri-fold wallet had become my dog Mervyn's latest chew toy. 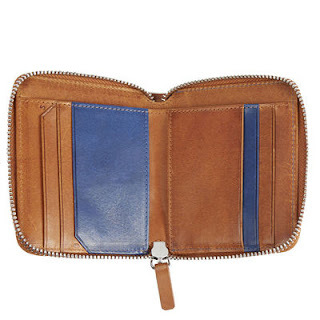 So I am on the look out for something to replace my dearly departed Mulberry. 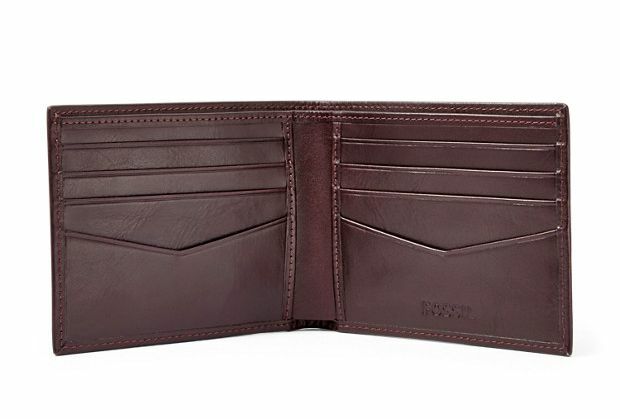 Style: Gone are the days of a Velcroed skater wallet with keyring attached. I need something relatively smart but with a bit of character. 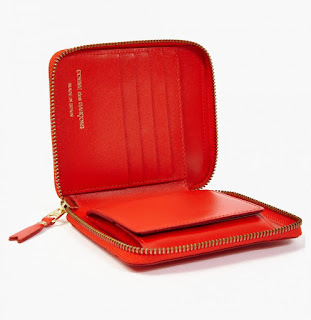 Quality: I've said previously, I am not swayed by designer brands but with a wallet, I expect longevity and that often means spending a little more. My Mulberry lasted almost 6 year with no signs of damage until the incident so I need something with the same quality of material and craftsmanship. Subtle(ish): I do not want a massive logo bolted to the front. However, I am not adverse to unusual colour or materials. I do not want black; too hard to find in a bag, too boring to mention. 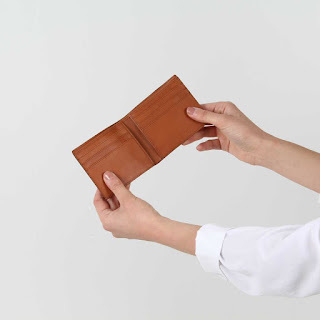 Size: I don't carry change in my wallet; too bulky, stretches the leather and destroys the lines of a jacket or coat so no real need for a coin section. Somewhere for rare times I have cash on me and somewhere for my cards. 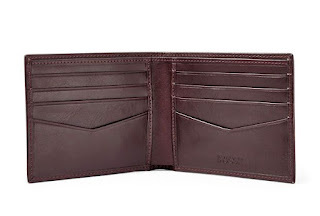 Naturally, I am drawn to replacing the wallet with another Mulberry. As much as I love the classic oak leather, playing with colour and opting for perhaps the flint grey or army green would be a small but smart switch. Subtlety drew me to this simple tan wallet from Sandqvist. 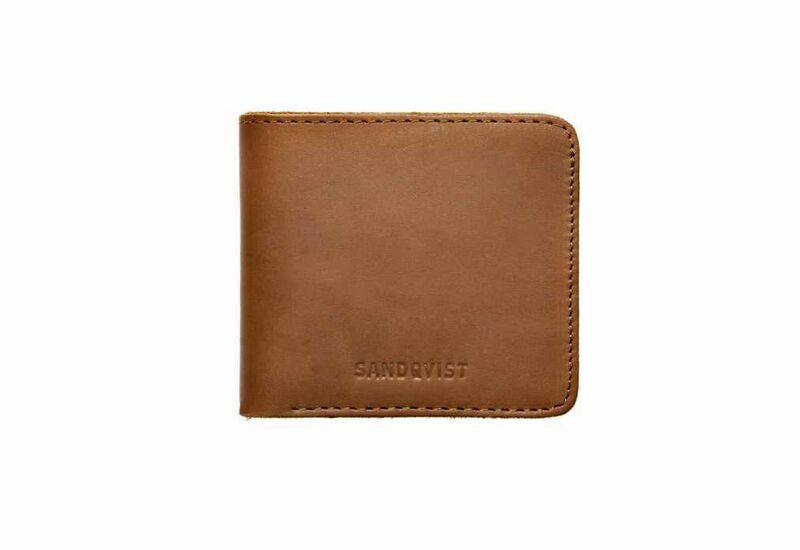 I like the understated stitching and raw edge, I'm even willing to over look the zip section on the back. The pale cognac colour will age beautifully with scratches and patina adding to its character. I often have said I have less money in my wallet than the actual value of my wallet so with a budget in mind, I spotted this rich burgundy red wallet from Fossil. I have used Fossil leather goods in the past and found them to be of good quality at an affordable price. 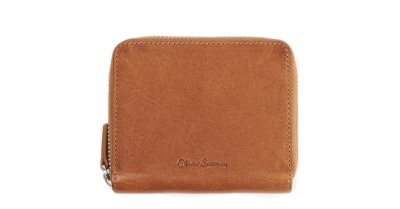 I always think tan is a stylish colour in a wallet and it just improves with age. The soft tan of this compact wallet from Oliver Sweeney is contrasted with the splash of cobalt blue on the interior pockets. 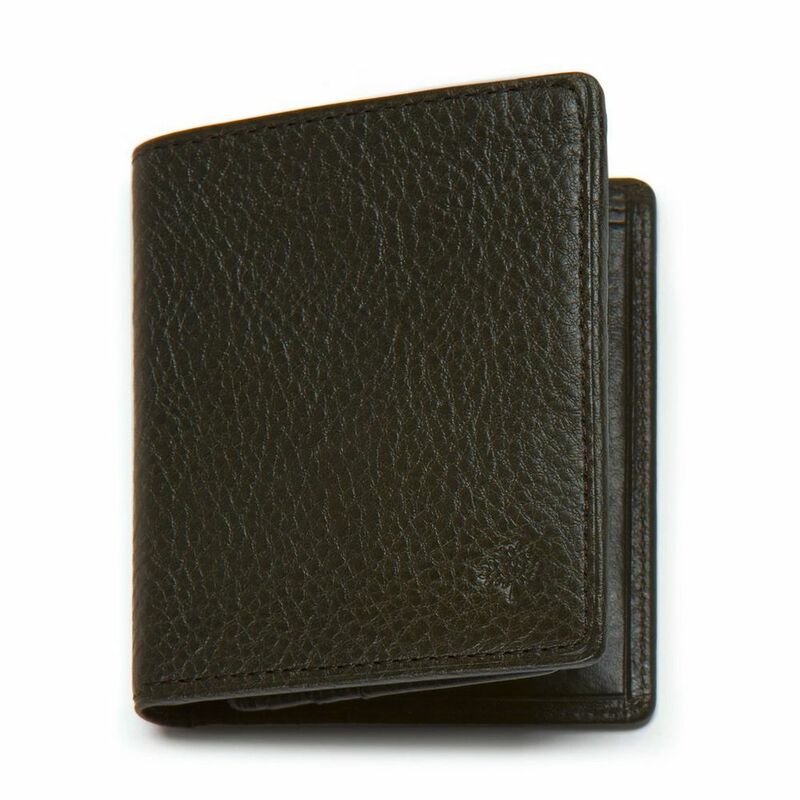 The exterior pocket on the reverse is also handy for passes or that coffee loyalty card you use every morning. 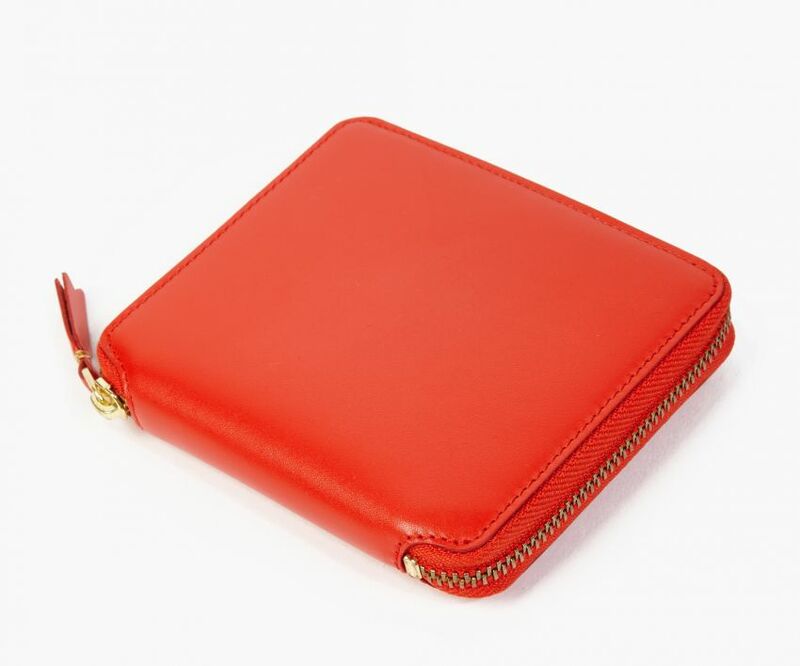 And for something completely different and a bit more out there, this amazing orange wallet by Comme des Garcons at Oki-Ni caught my eye. There's no chance of me missing this in a bag and would be a fresh summer accessory. Any suggestions are welcome in comments. I'm looking for inspiration at this point, I don't want to commit to a one-season piece. Help!